Already Europe’s leading manufacturer of quality metal garden storage buildings, Trimetals has focussed on worldwide expansion to deliver international sales growth averaging 33% per annum and totalling 283% over the last six years. Overseas trade now accounts for 18% of the company’s revenue. 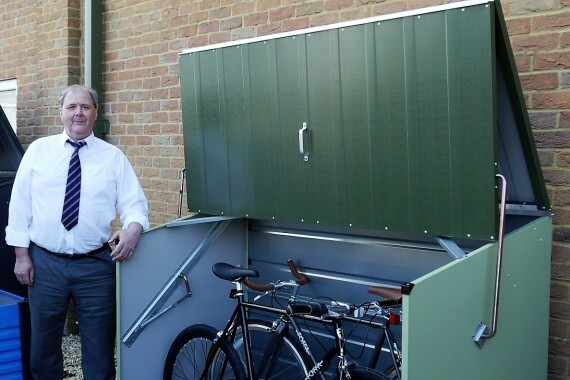 Alongside its established metal garden sheds and storage units for lawnmowers, tools and patio furniture, Trimetals is also renowned for the durability and security provided by its ranges of bicycle and motorcycle storage for domestic users. Trimetals products are also utilised by numerous companies and organisations such as landscapers, golf and football clubs and schools. This Queen’s Award is the second royal badge of honour for Trimetals, with its products having recently achieved status as the only metal sheds and garden storage approved by the Royal Horticultural Society.